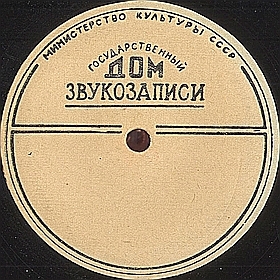 Additional information: On February 8, 1949, the national enterprise "Gramofonové závody" ("Gramophone factories", an entity uniting the entire nationalized Czechoslovak gramophone industry, including former Ultraphon and Esta facilities) announced a contest for new design of Supraphon labels. 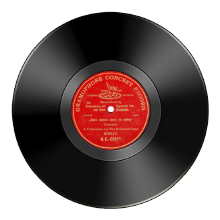 Under the terms of the contest, the drawing should contain the word Supraphon and clearly indicate the Czechoslovak origin of a record. 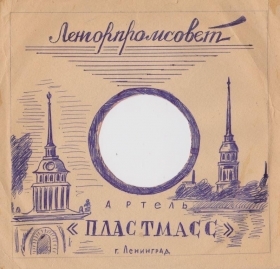 Among several hundreds of participants of the contest, there was artist Václav Zajiček (1925–1989), who submitted several label sketches under the motto "Václav Ludwik". On April 6, 1949, the contest committee sent him a letter that at the jury meeting on March 31, 1949, it was unanimously decided that one of his proposals was awarded the first prize. On the basis of this sketch, the world-famous symbol of the Supraphon brand was created — a lion with a lyre.